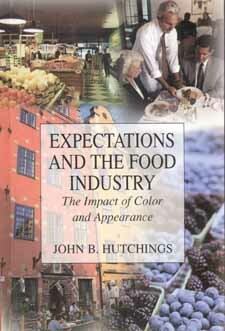 Expectations and the Food Industry tackles expectations and how they arise, expectations associated with strangers involved in the food industry, with the business facade, advertisement and packaging, as well as expectations engendered in store and restaurant and from the food itself. This holistic approach has been taken because total appearance images and expectations are critical in separate and interlinking ways to all aspects of food research, development, production, marketing, sales and preparation, as well as consumption. This book seeks to help those in all areas of industry who contribute to the visual stimulus experienced by the customer. These include architects, store designers, and food producers, as well as those in advertising and packaging or having responsibility for training customer contact staff.